We have provided umbrella and beach chair rentals to patrons of Governors Beach for over 5 years, and continue to deliver comfortable & clean equipment for the pleasure of beach goers daily. Our rental equipment is available at both of our contracted locations, to Governors Beach. After a while wear and tear the products have gotten old and i would also like to expand the business to a Bar on the Sea, which we dont have avaible in the islands offering a variety of drinks and grilled foods. 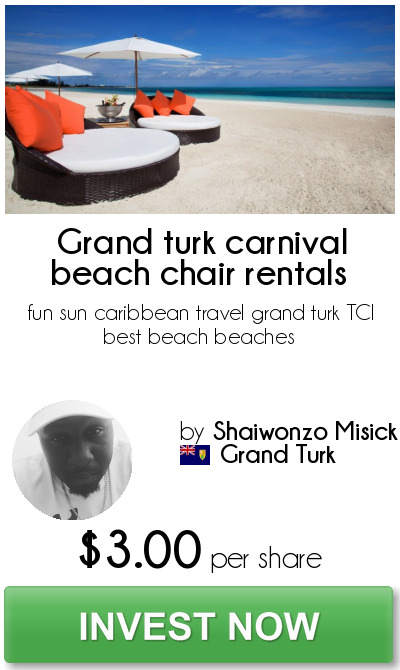 At the moment I am a one man operation, but with the help of you guys I will be able to expand the business where it is most profitable because here in the Turks and Caicos we are known for our tourism and beach so it will not be a loss cause.